When AGV told us that they would be producing a flip-lid helmet, we didn’t take them particularly seriously. After all, AGV makes racing helmets for the likes of Valentino Rossi and other racers. What, therefore, did they know about making flip-lids? But they came to show it to us late last year, and we have to admit that we were blown away. It is, it has to be said, a flip-lid that is aimed more at sports bike riders than the usual GS crowd, but it’s a very impressive bit of kit. First off, it’s a looker. It’s easily the sexiest flip-lid ever. It’s also the lightest ever, and that’s because it’s made entirely of carbon; even the chin piece. Nobody has ever managed to do this before, and to get it right AGV had to go to a company that makes wings for airliners. The helmet works, and has a lovely fit. It’s got all the bells and whistles you’d expect, but what we never expected was that it would be so quiet. 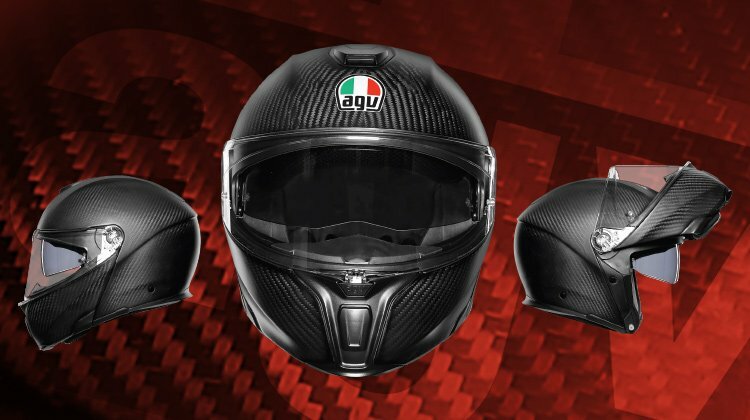 Yet AGV tell us that they have tested it against the Schuberth C3 Pro in a wind tunnel, and that the Sport Modular is quieter. If that’s true, and we have no reason to disbelieve them, then that’s massively impressive. If there’s a weakness, it’s on the comms. side. The helmet hasn’t really been designed around comms., so if you want a flip- lid for its comms. capability, you’ll be better off with a Neotec 2 or Schuberth C3 Pro. But if you want a svelte-looking, super-lightweight, incredibly quiet flip-lid, the Sport Modular is worth a look. It's in stock, and ready to try. Now Belstaff first presented this jacket to us as part of the 2018 season collection about nine months ago. All they had was a line drawing, a spec. and a price. We were not particularly taken with it for a number of reasons. First, the Marlon Brando-style, lancer-fronted jacket always looks cool, but very few people can pull that look off. We were also put off by the fact that it was going to be produced in horsehide. Now horsehide is premium leather. The best shoes are made from it, as are the toughest jackets. But in most instances, it takes years of heavy use to wear such a jacket in. So we figured it probably wasn't for us. But just before Christmas we saw it in the flesh. We fell for it big time, and decided we had to offer it. It does, we have to say, look great, and the fit is superb; exactly as one would expect from Belstaff. But what we hadn’t anticipated was the softness of the leather. Don’t know what breed or strain of horse they used, but they must have been pampered. We reckon they had cream rubbed into them every evening. In all probability, somebody then read them a bedtime story. 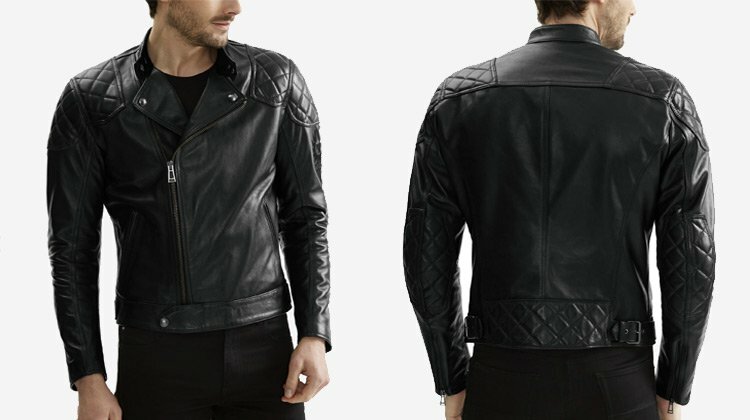 All we can say is that this is the nicest leather we’ve ever come across on a motorcycle jacket, but soft as it is it’s still horsehide, so it’s going to be incredibly tough. It’s in stock now. At this price, it’s not for everybody, but if you want to come to Guildford and just gently run your hand over its surface, that’s fine by us. Okay, we screwed up a little on the Traveler 2 suit from Spidi! We bought into it as a key part of our textile suit offering. It’s a stylish bit of kit that will look after riders whether it's really hot, really cold or really wet. Problem is that we forgot to put in into our recent 2018 season catalogue. Sorry Spidi! Anyway, it's on the website and in the shop here in Guildford. It looks the business. It’s highly adjustable, has a fixed waterproof liner and a removable thermal one. Obviously, it comes with CE armour in the elbow, shoulder, hips and knees. And it has all the bells and whistles you might expect from an experienced manufacturer such as Spidi. There’s a ladies’ version as well as a gents’ version. The suit also comes in what is known as ‘robust’ sizes for those who are a little broader in the beam. We’ve taken in the Traveler 2 because we think it is incredibly well priced for what it offers. For under £500 these days you’re moving into budget territory, and whilst many suits look the part, at this price many manufacturers are compromising on quality and technical performance. In our view, the Spidi Traveler 2 delivers all you’ll ever need! It looks good, fits well and has loads of features that will make life on the bike more pleasurable. At this price point, we’ve not seen anything to touch it. 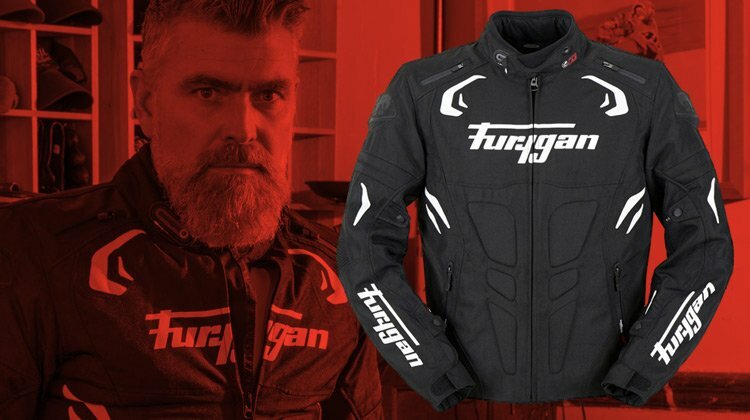 Truth be told, the Furygan Blast jacket is on the racier side of what we tend to offer here at Motolegends, but we do have plenty of customers who ride sports bikes, and there are loads of people who simply love the ‘wounded panther’ brand. (The story behind the wounded panther, by the way, is fascinating; but that’s for another day.) 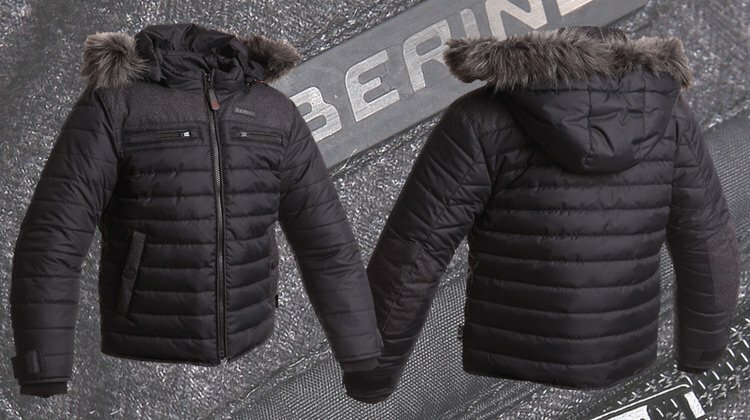 The Blast jacket is made from a high-tenacity polyester for excellent abrasion resistance. It comes with D30 protectors and extra reinforcement panels in the forearms, which Furygan tells us is one of the highest risk areas in a fall. 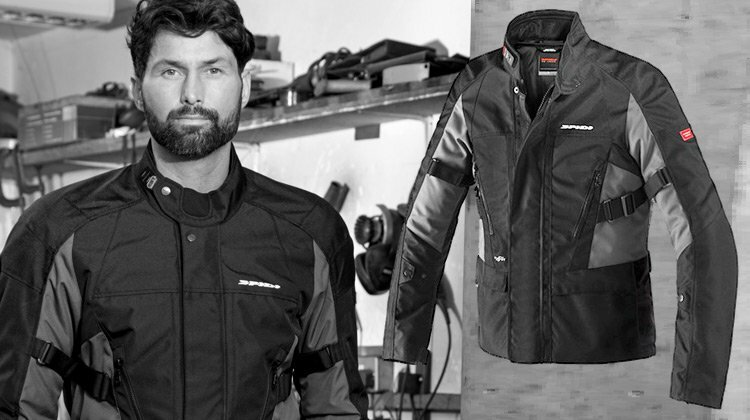 The jacket has a fixed waterproof membrane and a removable thermal liner. The shoulder vents are protected by water-resistant zips, whilst a storm flap behind the main zip prevents drafts from entering the jacket. The jacket will zip into any Furygan pant; the proposed matching model is the Duke trouser. Lots of other stuff forms the spec. of the Blast, like the stretch panels behind the shoulders for comfort, loads of pockets, neoprene in the collar, adjusters everywhere you would want them, and so on. It’s a classic Furygan jacket; aggressive and sporty, but with all the refinements you’d expect on the best touring and country jackets. And at just £249.99, we think it represents excellent value. Just arrived in is a new short boot from our Italian friends at Spidi. Eventually, it will come in two colourways; the brown with black version shown here and one that is all black. We expect that second version to be here in a few weeks. The boot is made from a full-grain cowhide that is between 1.2 and 1.4mm in thickness. The leather has been oiled and greased for a water-resistant and water-repellant finish. 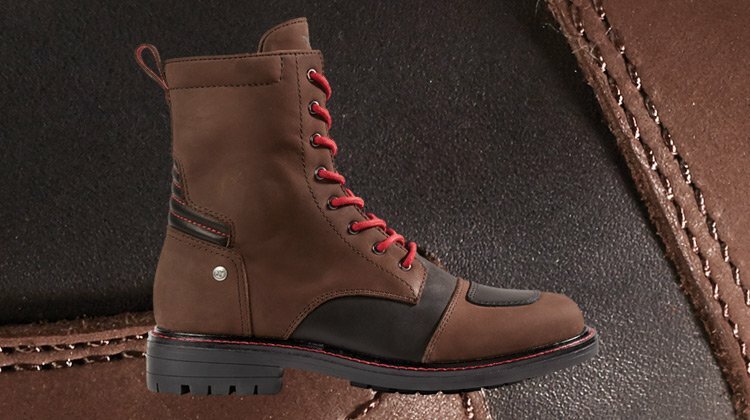 The boot is fully lined with 0.4mm calf leather for comfort and softness. The footbed is also calfskin. We really love the chunky look and feel of the X-Goodwood. It's got a commando-style sole with welted leather edging. And to help you get in and out of the boot it has a full height YKK zip. So what's not to like? Nothing really, but there's something we'd like to say about a waterproof membrane. A membrane on a short boot is of questionable value. Yes it keeps the rain out, but in any prolonged rain, water will come in over the top of the boot. If the rain is of a short duration, a membrane adds little. But not having a membrane does make a boot nicer to wear in the summer. Our favourite bike boot, the Rokker Urban Raker, has no membrane but is incredibly waterproof. If you treat your boots regularly with something like dubbin, you might overall be better off with a boot that doesn't have a membrane. Just a thought! 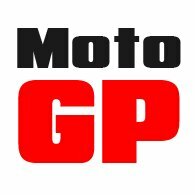 Here at Motolegends, we don't really sell a lot of Bering gear. It's not our kind of brand, normally. We do sell their air-bag vest because, quite simply, it's the best on the market, but we don't do much else. On a recent visit to the bike shops on the Avenue de la Grande Armée in Paris, however, we came across this super-cute kids' Bering motorcycle jacket that we decided we had to bring in. There is an adult version, but we prefer the Helstons one that looks similar. There's not, though, much proper biking gear for kids. Halvarssons does a suit. It's perfectly acceptable, albeit not massively stylish. The kids' Daryl jacket is a puffa-style affair similar to the kind of jacket that many kids wear in to school. It's lovely and warm and has a 100% waterproof and breathable membrane. In the shoulders and elbows you'll find CE approved protectors, and there's a pocket for a back protector. The hood is removable. The sleeves and hem are cuffed for a light but stretchy fit, and you get pockets inside and out. If you're ever taking a kid on the bike, you should really put them in a proper motorcycle jacket. And this is a proper motorcycle jacket. It just doesn't look it. It comes in ages: 6, 7, 10 and 12. And what kid isn't going to look cool in it?